Glasson’s Colm Moriarty is determined to put in a performance to match the occasion after coming through final qualifying to grab a dream major championship debut in next month’s Open at St Andrews. But there was agony for Waterville’s David Higgins as he followed a 66 with a miserable 73 to come up two shots short of a play-off chance at Local Final Qualifying (see scores). Athlone ace Moriarty, 31, was one of 288 hopefuls battling for just 12 spots at four Scottish venues. And he took full advantage when he topped the qualifiers by two strokes at Kingsbarns on seven under par, following a five under 67 with a solid afternoon 70 in stiffening winds. Determined to play well on his major debut, Moriarty said: “It’s brilliant. You couldn’t pick a better place to play your first major. It’s fantastic. “Hopefully I can play many more majors but while it’s great to get in, I want to go there and play well now. I don’t want to get carried away with just qualifying. “I have been playing very nicely all year and my goal is still to win the Challenge Tour rankings or at least finish in the top 10. Moriarty started his day with a bogey at the second but picked up four birdies and an eagle in his next seven holes to get his qualifying bid off to a flyer and never looked back. He said: “You never know what can happen in qualifying with only three spots to play for and you have to play well. But I’m delighted with how I played. Higgins was tied for the lead after the first round when he hit four birdies in a bogey free 66 at Scotscraig to share top spot with Scot Lloyd Saltman. But the Kerryman’s bid for a third major championship appearance came unstuck in the afternoon. Despite going to the turn in one over par, he was still well placed to qualify on three under par but bogeyed his 10th, 14th and 15th holes to kiss his chances goodbye before finishing with a birdie four at Scotscraig’s ninth hole. Moriarty’s success means that Ireland will now have six players in action at the Home of Golf from July 15-18 - four of them from the Horizon Sports Management stable. Apart from Padraig Harrington and Rory McIlroy, Horizon’s recently crowned US Open champion Graeme McDowell was already exempt before stablemates Shane Lowry and Gareth Maybin came through International Final Qualifying at Sunningdale on June 7. 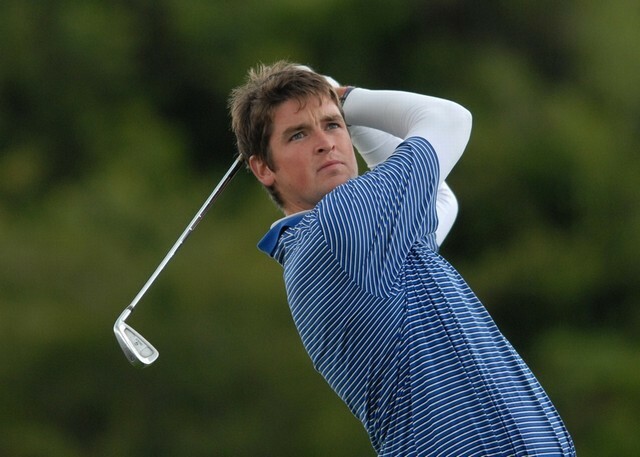 Amateur Laurie Canter led the qualifiers at Fairmont St Andrews’s Torrance Course, firing rounds of 67 and 69 to edge out Zane Scotland by one stroke on eight under with Dane Mark Haastrup a shot further back in third place. Waterville’s David Higgins and Glasson’s Colm Moriarty made brilliant starts in their bids to qualify for next month’s Open Championship at St Andrews. The top three finishers after 36 holes at each of the four Local Final Qualifying venues will earn their places in the third major of the season. Colm Moriarty got a major boost at St Andrews - he made the cut with a shot to spare after late afternoon carnage and landed an invitation to play in this month’s 3 Irish Open. Muskerry’s Niall Turner agonisingly failed to qualify for next month’s Open Championship when he came up one-stroke shy of the top three finish in the Local Final Qualifying at Prince’s. The Asian Tour regular shot rounds of of 69 and 71 to finish on four under par with Limerick’s Tim Rice back in the pack on two over after two 73’s. On a day day for the Irish, Royal Dublin’s Patrick Devine will continue his battle for a dream place in The Open today after thunder and lightning delayed his qualifying bid at Littlestone. 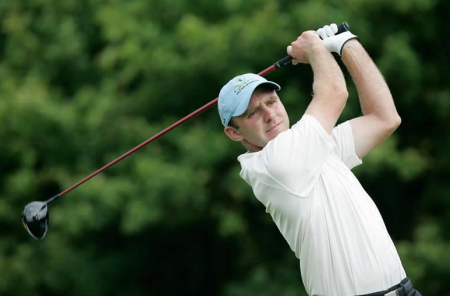 Colm Moriarty in action in the 2011 Irish Open. 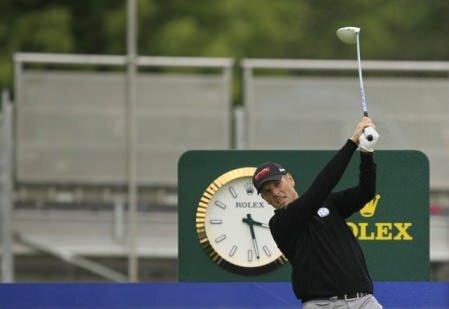 Photo Jenny Matthews/www.golffile.ieNine months after taking time out from the game, Glasson’s Colm Moriarty is in track for a dream appearance in The Open at Muirfield after he opened with a five under par 65 to lead the 36-hole race for three place from Local Final Qualifying at Dunbar. David Higgins paid the ultimate price for having an extra club in his bag in a play-off at Local Final Qualifying for The Open. Picture: Thos Caffrey / www.golffile.ieIan Woonam is likely to go down in Open Championship history as the greatest extra club vicim of all time. But whatever about the Welshman’s demise at the hands of an Irish caddie in the final round of the 2001 Open at Royal Lytham and St Annes, David Higgins joined him as a footnote yesterday when he lost out on a potential spot in The Open at Muirfield when he discovered a 15th club in his bag during a three-man play-off for two spots at Local Final Qualifying.